World-Class trout fishing, exhilarating kayaking and canoeing, and a storied history of presidential visits barely scratches the surface of all that the Bois Brule River has to offer. Stretching for 44 miles, the Brule is one of the best known rivers east of the Mississippi. The entire river is contained within the Brule River State Forest. Whether you’re looking for intense rapids or a meandering stream, the Brule can please a variety of tastes. The upper portion of the river is spring-fed and gentle. Once the river crosses the Copper Range, it begins a fall of 328 feet to where it eventually feeds into Lake Superior. The Brule is often referred to as the “River of Presidents” because five United States Presidents have visited and fished the river – Ulysses S. Grant, Grover Cleveland, Calvin Coolidge, Herbert Hoover, and Dwight Eisenhower. 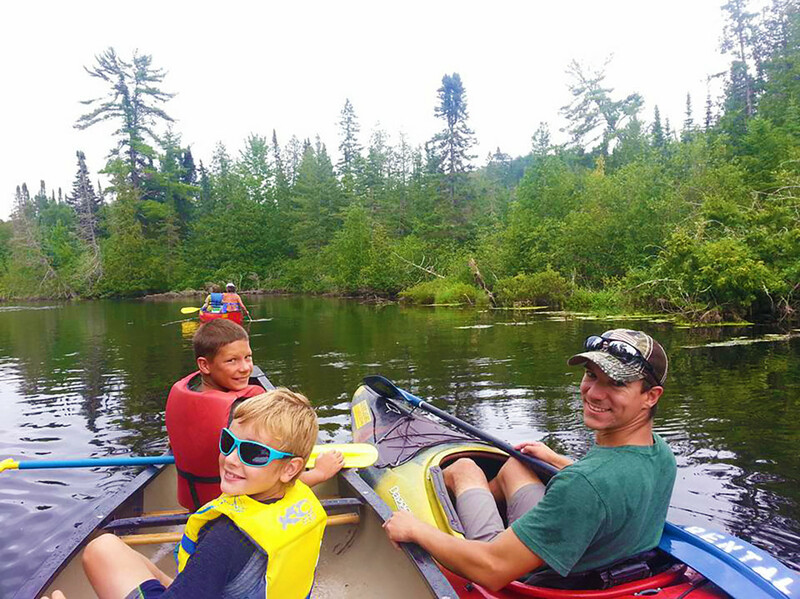 Whether you’re looking for a quiet float down the river, or crave the excitement of kayaking through class II rapids, the Brule River offers something for everyone. Trips down the river can take anywhere from 46 minutes to more than four hours, depending on where you launch. Brule River Canoe Rental in Brule, Wis. offers canoe and kayak rentals, along with a shuttle service. There are several public-access landings located along the river, and there are a few rules when it comes to using the Brule River. For more information on what you’ll need to head out on the river, click here. The Brule is a Mecca for anglers hoping to land steelhead trout, Chinook salmon, coho salmon, and brown trout. Fly fishing is popular on the Brule River and there are many public-access areas for parking along the river route. Anglers 16 years and older must have a Wisconsin fishing license and an inland trout stamp to fish the Bois Brule River. For more information on licenses, click here. 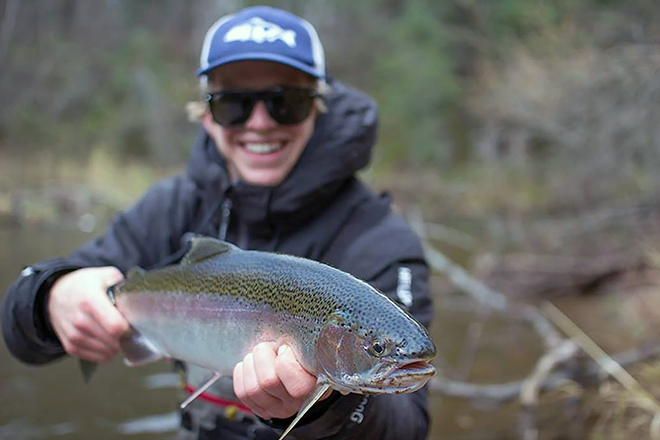 Spring Steelhead – Lake March through May, peak depends on water temperature. Chinook Salmon – Early July through mid-October, peak mid-August to late September. Brown Trout – Early July through late October, peak mid-July to mid-September. Coho Salmon – Late August to Late November, peak usually in September. Fall Steelhead – Mid-August through late November, largest runs occur between mid-September through late October. For more information on fishing the Bois Brule River, click here. ​Photo caption: Whitewater kayaker on the Brule River by RJ & Linda Miller, courtesy of the Wisconsin Department of Tourism. ​Photo caption: Brule River steelhead fishing by Steve Ficocello.